Trouble weaning yourself off toxic dryer sheets or chemical-laced laundry softeners? Give Woolzies’ handmade dryer balls a shot, instead. 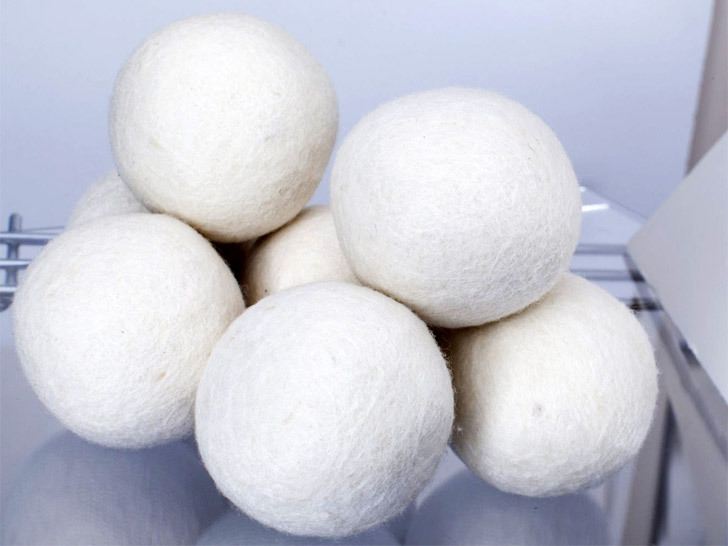 Made from 100 percent all-natural New Zealand wool, the orbs are said to not only reduce static and wrinkles but also cut back drying time by 25 percent per load. Unlike polyvinyl chloride versions, Woolzies are phthalate-free and won’t flake, melt, or off-gas under high temperatures. A complete set of six lasts at least a year or 500 loads, whichever comes first. Trouble weaning yourself off toxic dryer sheets or chemical-laced laundry softeners? Give Woolzies' handmade dryer balls a shot, instead. Made from 100 percent all-natural New Zealand wool, the orbs are said to not only reduce static and wrinkles but also cut back drying time by 25 percent per load. Unlike polyvinyl chloride versions, Woolzies are phthalate-free and won't flake, melt, or off-gas under high temperatures. A complete set of six lasts at least a year or 500 loads, whichever comes first.